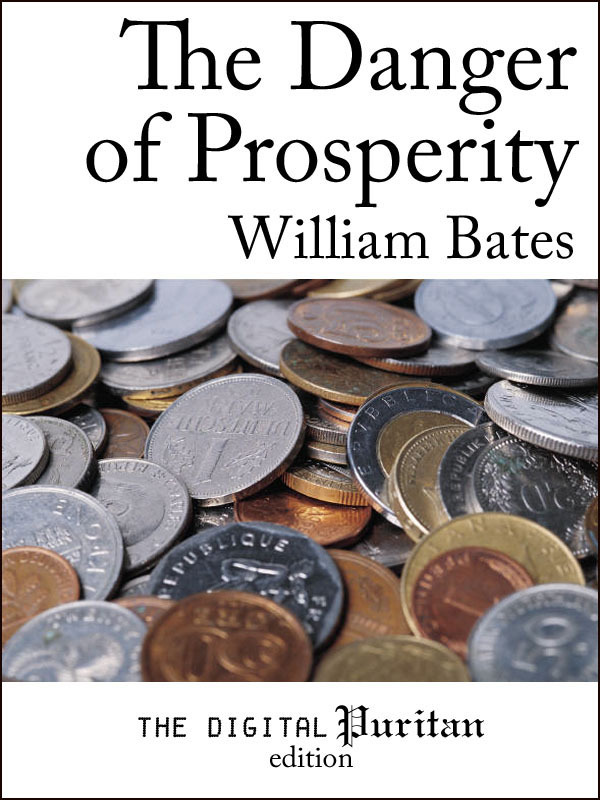 In The Danger of Prosperity William Bates insightfully teaches Christians how wealth, honor, and fame often contribute to the downfall of the unwary. He challenges his readers with the tender encouragement of a shepherd, to carefully consider the ways in which prosperity that is abused is both fatal and destructive, while providing numerous helps that Christians who enjoy God’s hand of blessing can use to avoid its sinful abuse and improve it to God’s glory and their eternal advantage. This classic work has been carefully prepared for the enjoyment and benefit of a new generation of Christian readers. Previously available only as part of a “complete works” lithograph from the early 19th century, this edition–completely revised by the editor of The Digital Puritan–includes embedded scripture references from the English Standard Version, as well as numerous annotations to make the text more understandable to the modern reader. Includes a biographical preface by James Marsh.